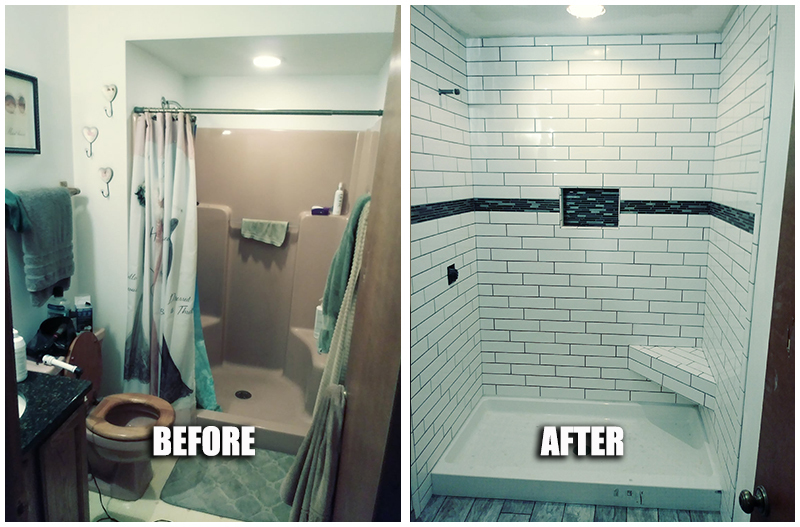 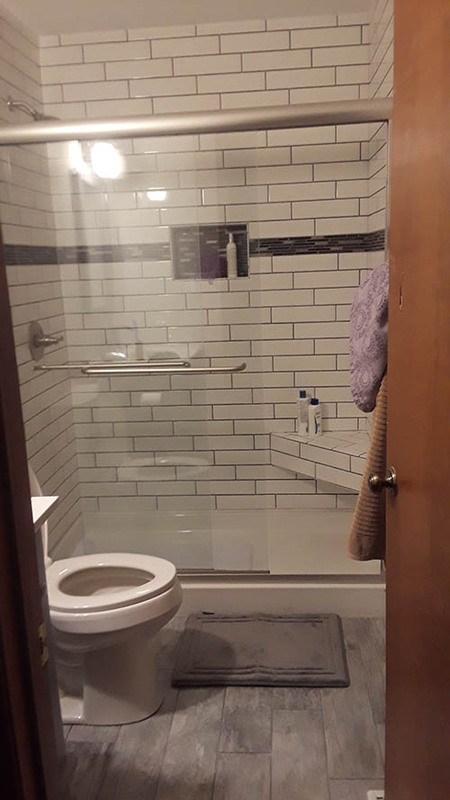 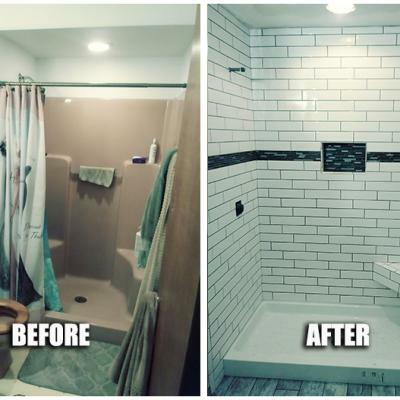 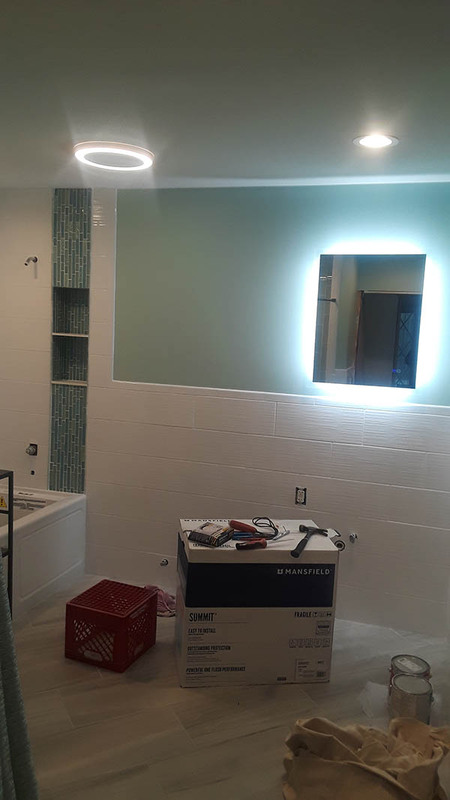 With our ME process we can make your bath remodel simple, because we design what we remodel and we remodel what we design. 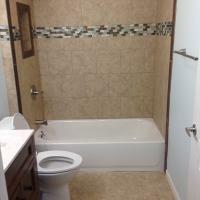 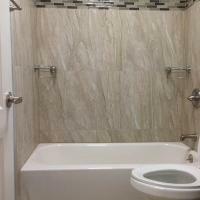 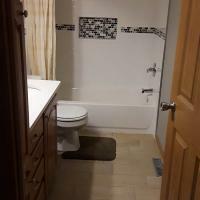 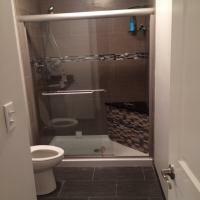 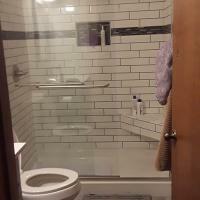 ME's design build bathroom renovation team can make your bath remodeling project a reality. 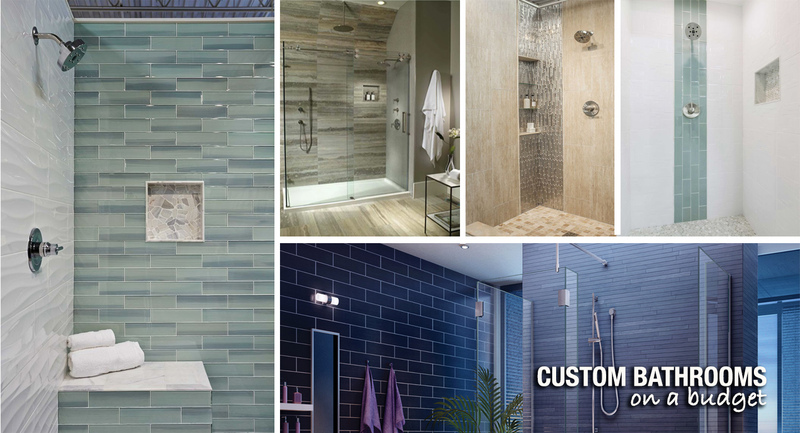 Select from our many brands, styles, and colors to complete the bathroom you have been dreaming of. 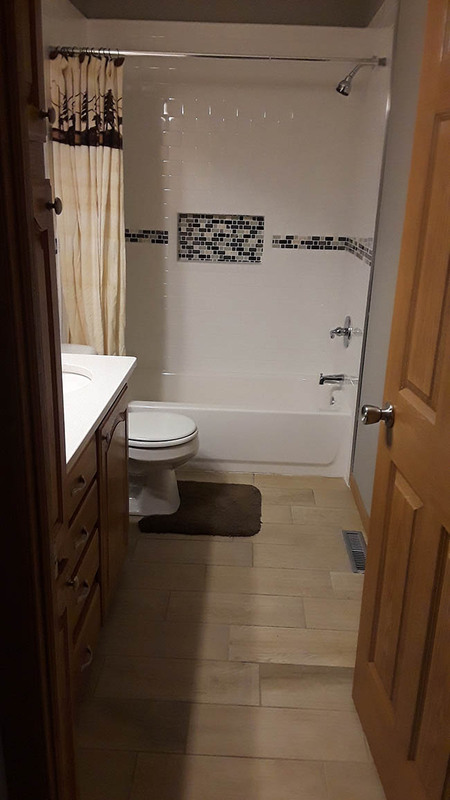 Getting a price and design ideas are easy with ME. 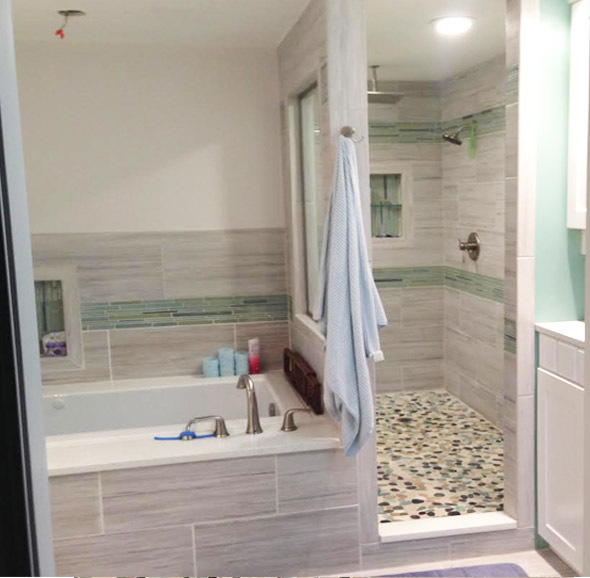 Our talented designers, access to great materials, and professional installers make our baths more affordable and in a class of their own. 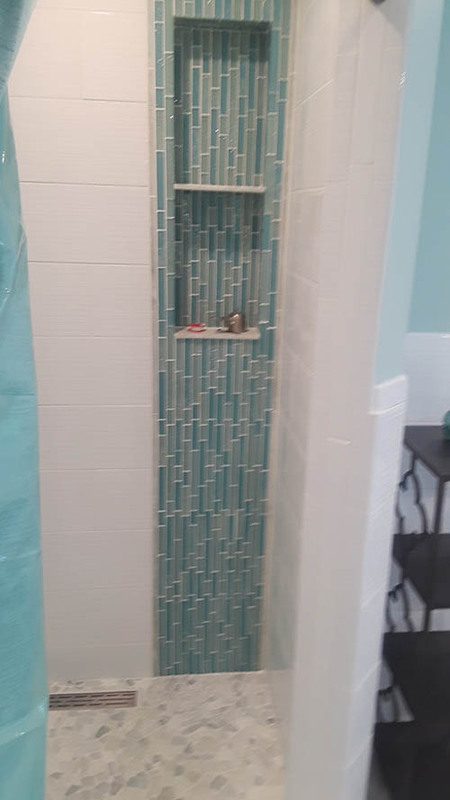 It doesn't matter if your bath budget is large or small our focus is on the perfect design that fits your space and needs. 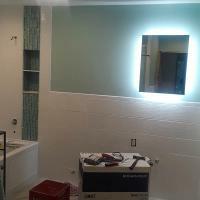 ME professional designers work hand in hand with the sales staff and clients to deliver a quality finish product. 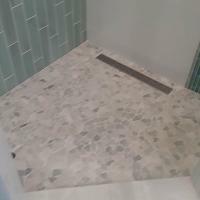 ME designers are always up to date with new products and materials and implement them in current designs. 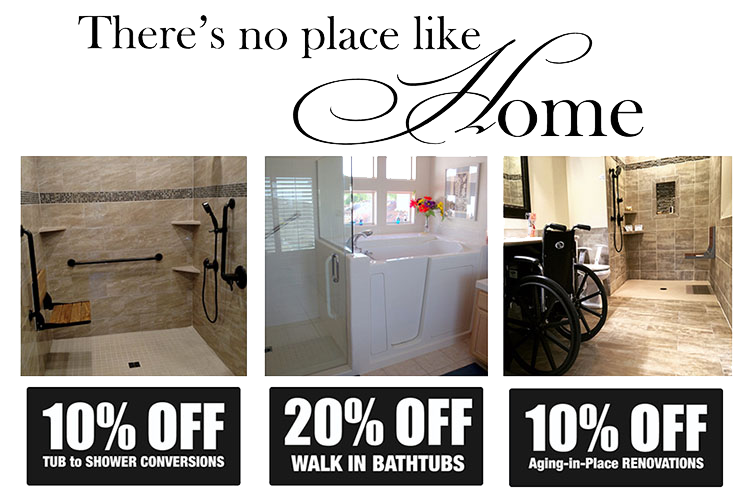 Many clients can get great ideas from the web. 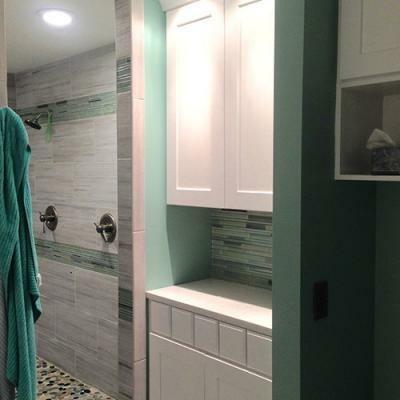 Sites like houzz have an endless assortment of bath styles, designs, and colors that can help inspire you into the right direction. 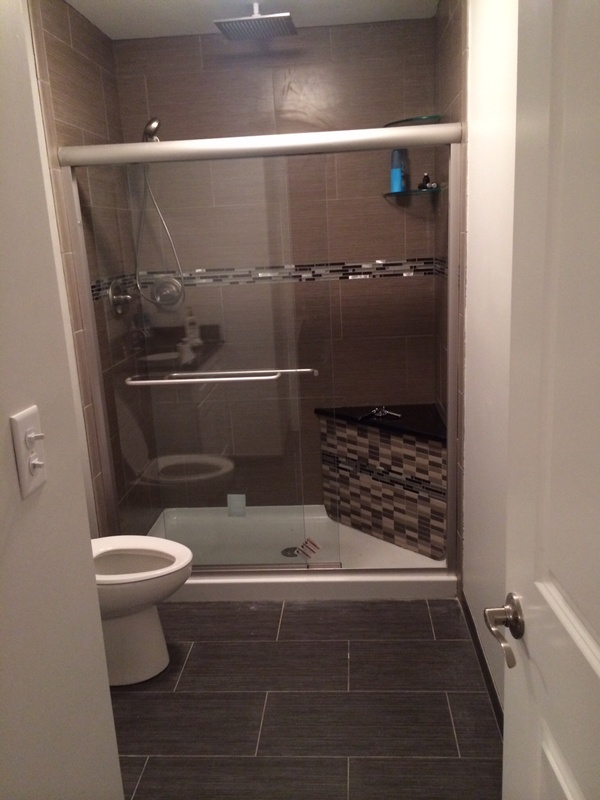 We encourage our clients to share these ideas with our designers. 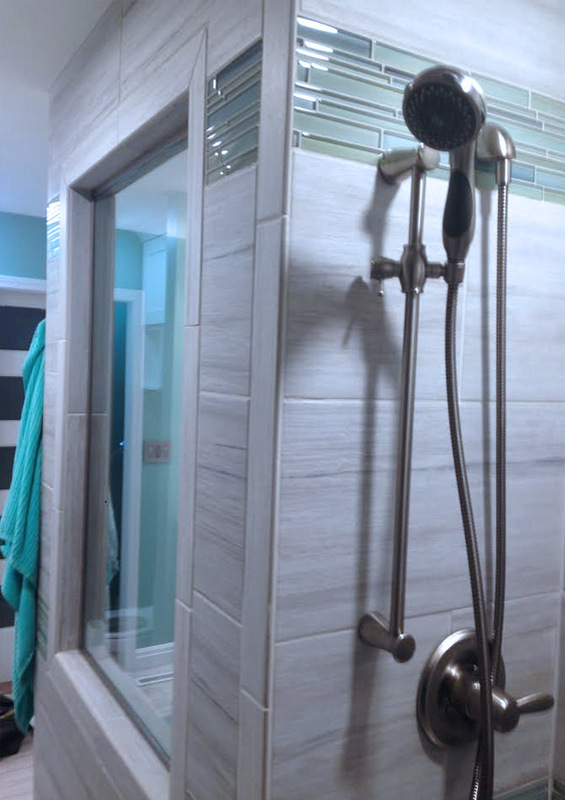 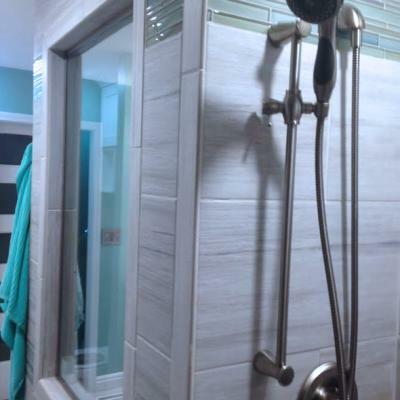 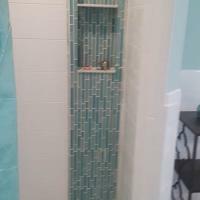 We design and build custom shower systems. 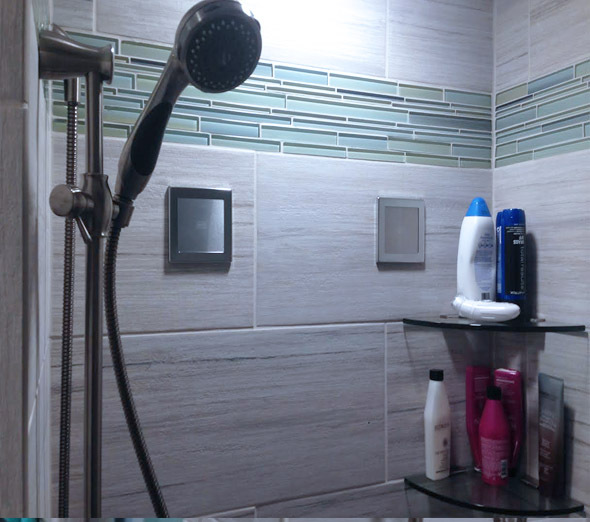 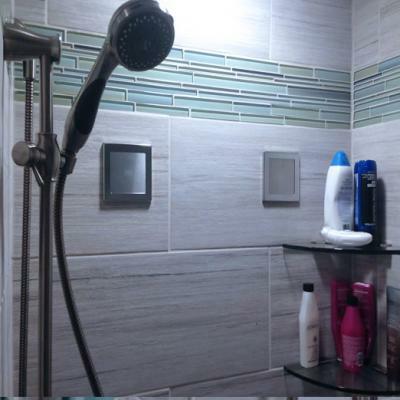 Each shower is unique in its own way depending on the clients needs, vision, and budget. 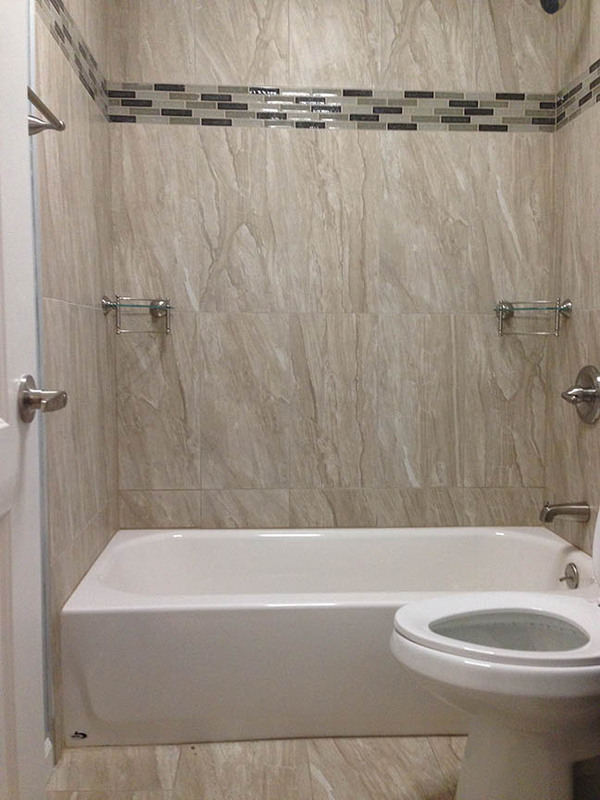 Our designers can provide you with the design you have been dreaming of. 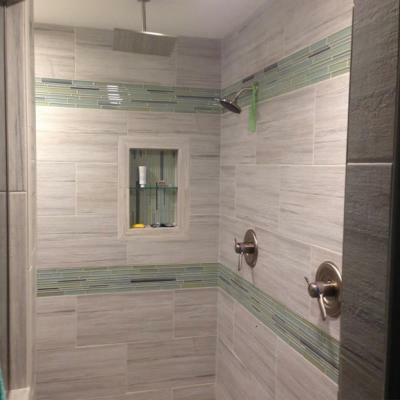 Our professionals can build any shower with detail and precision from the framing, plumbing, waterproofing, electrical, tile, to the glasswork. Custom Tile can really be the icing on the cake to completing a stunning bathroom. 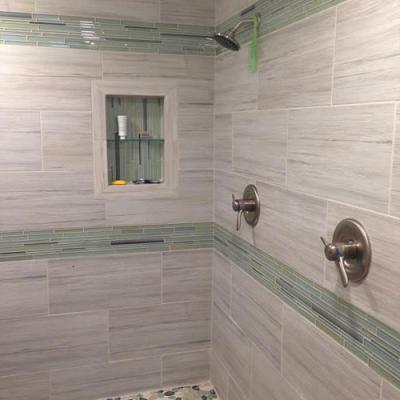 We offer hundreds of different types of tile, stone, metal, and glass materials for your selection. 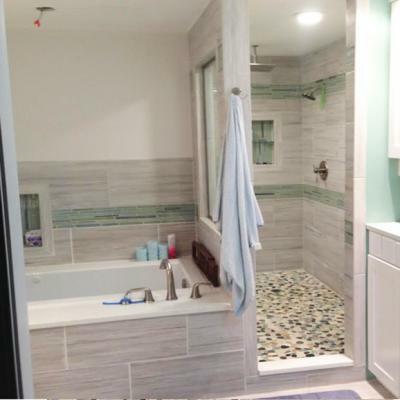 Selecting the appropriate grout and grout color is important and should not be overlooked. 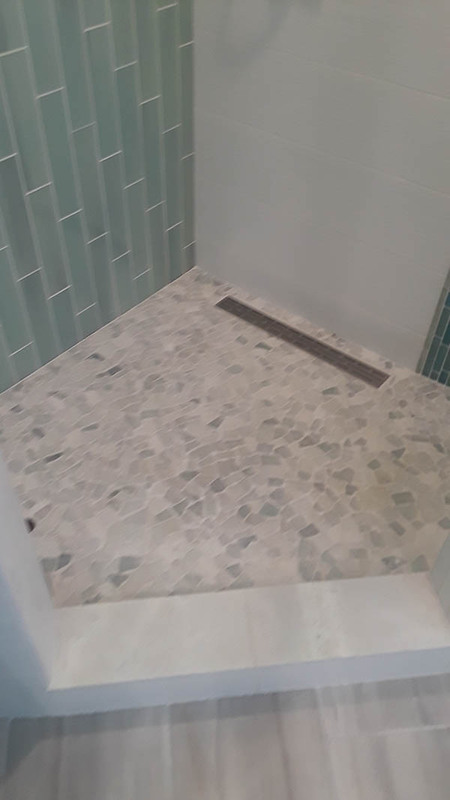 Custom Tile Shower Bases. 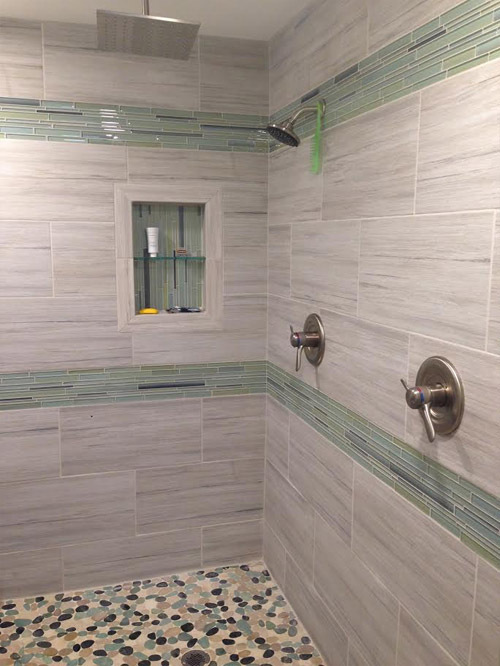 The different textures, sizes, and sheens provide an eye catching focal point in your bath. 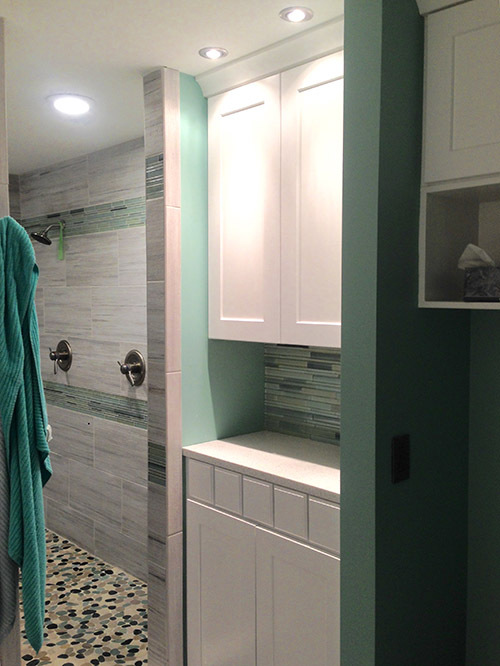 A quality bath starts with quality cabinetry. 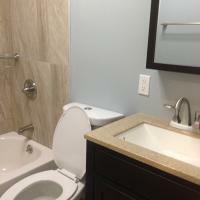 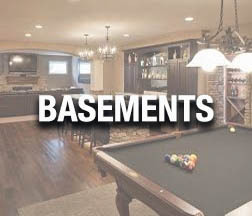 We offer superior cabinetry at wholesale prices. 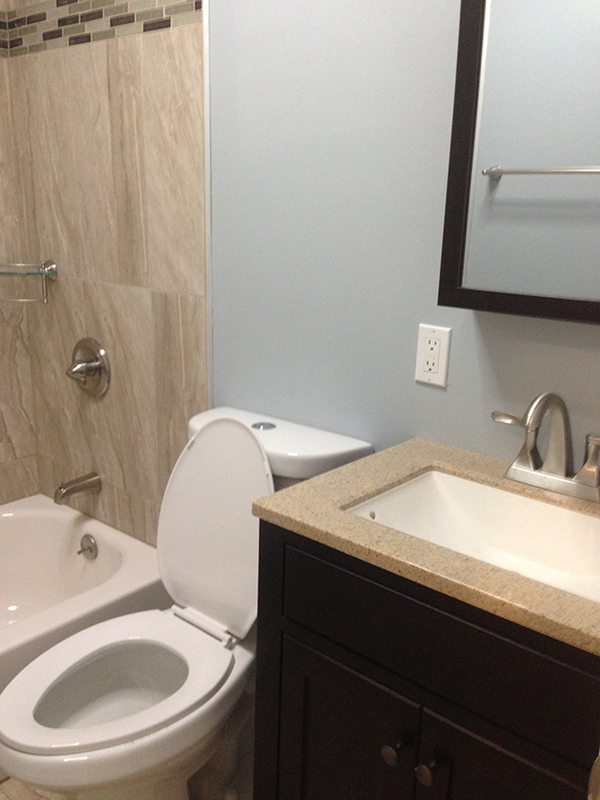 Our beautiful line of cabinets are made of solid maple hardwood. 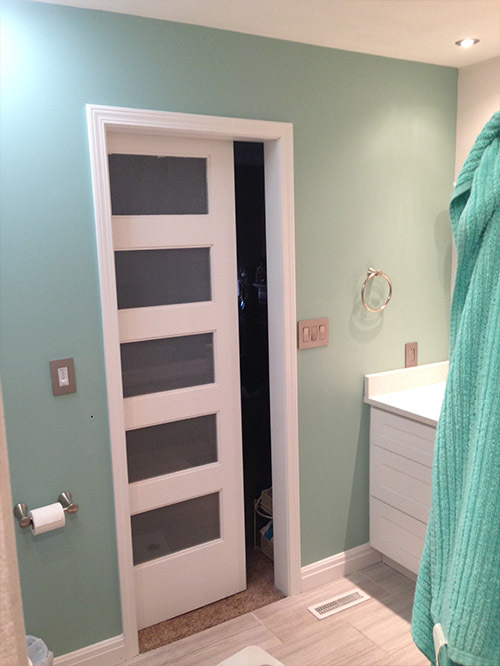 The doors are full overlay for maximizing interior cabinet space. 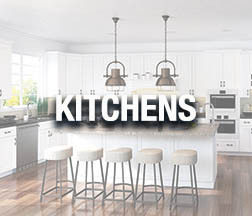 Select from many of our accessories including crown moldings, valances, specialty moldings, soft close drawers and doors, glass door inserts, custom corbels, feet, and premium stained and painted finishes. 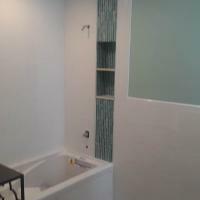 All of our cabinets are solid plywood construction boxes meaning no cheap MDF. 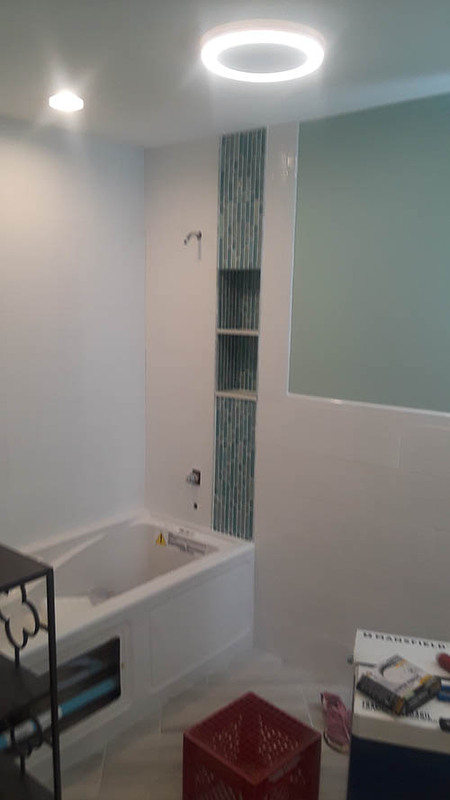 We do not recommend any cabinet with MDF construction. 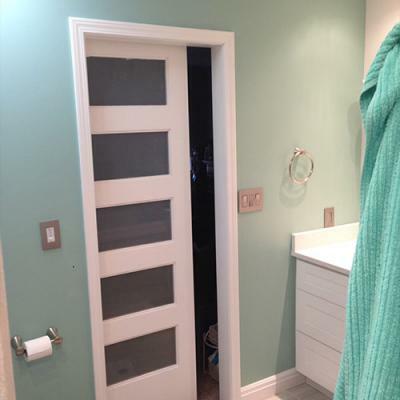 Finish your cabinets with elegant and modern door pulls and handles available in many styles and finishes. 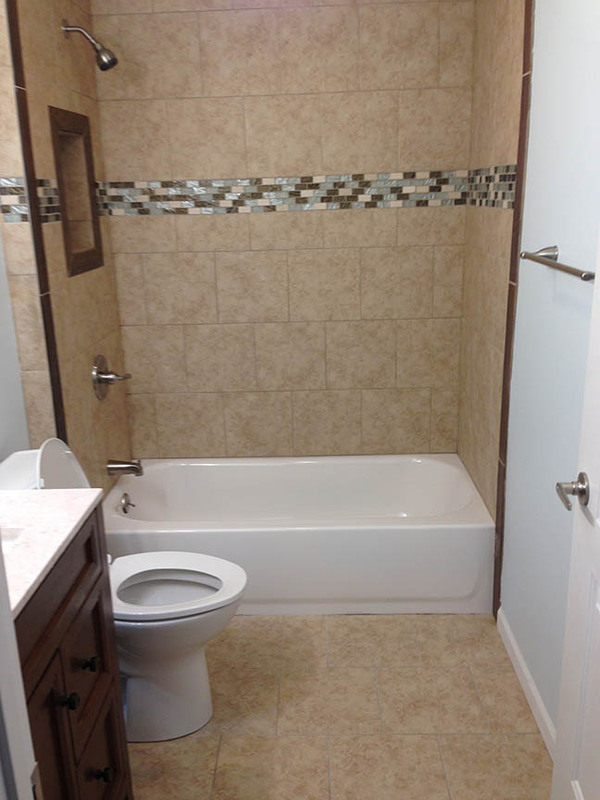 We make it simple for you to finance your project. 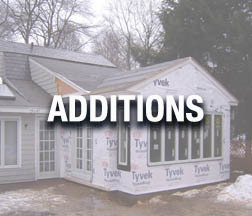 We offer many solutions to make your project a reality. 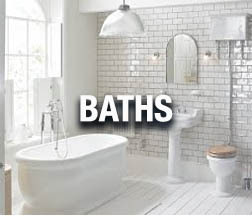 Complete baths can be as low as $100 per month.